Jaguar Land Rover will recall more than 44,000 cars for repairs after UK regulators found faulty models emitting more carbon dioxide than advertised. Ten models for Land Rover and Jaguar brands were emitting more greenhouse gases than certified initially, according to the Vehicle Certification Agency. Britain's largest car maker said they will carry out free repairs on the models. According to the European commission's rapid alert system, JLR cards may emit excessive levels of CO2 and may not conform with the certified condition. Recalls of cars to fix safety defects happen fairly often, but full product recalls because of exhaust emissions are rare. The recall is thought to be the first CO2 related recall for JLR. 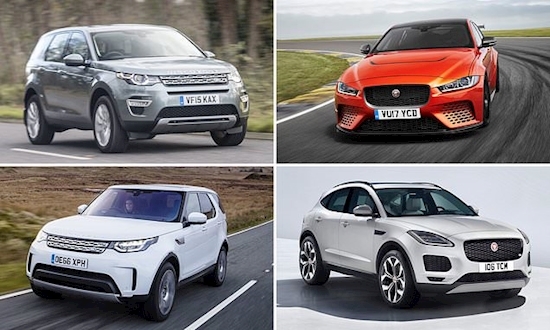 Among the models affected include the Land Rover Discovery, Discovery Sport, Range Rover Sport, Velar and Evoque made between 2016 and 2019. Jaguar models affected include the E-Pace, F-Pace, F-Type, XE and XF. Both petrol and diesel models are included in the recall. The repairs may involved software updates along with physical alterations. Some Range Rover Evoque models will need new tyres. Vehicle emissions have come under scrutiny in recent years following the Volkswagen diesel scandal, where it was found to have installed software to trick emissions tests. At the same time, international agreement on reducing greenhouse gas emissions prompted government to announce the ban of new fossil-fuel cars. The UK is set to roll out their ban from 2040. European manufacturers are under pressure to reduce average emissions of new vehicles from 118.5g of CO2 per kilometre to less than 95g by 2021. JLR's recall is not expected to have a material impact on the company's finances, but comes at a challenging time for the carmaker. JLR posted a record quarterly loss in February and announced about 4,500 job cuts the previous month. In a statement, JLR said: 'Affected vehicles are being rectified to ensure the correct CO2 performance is dependably achieved.